@CrazyFastFlying In my personal opinion, I would look at a few other models with the intent of scratch building them. FT provides the plans for free, so all you need to do is print off the pages and you have a set of plans. 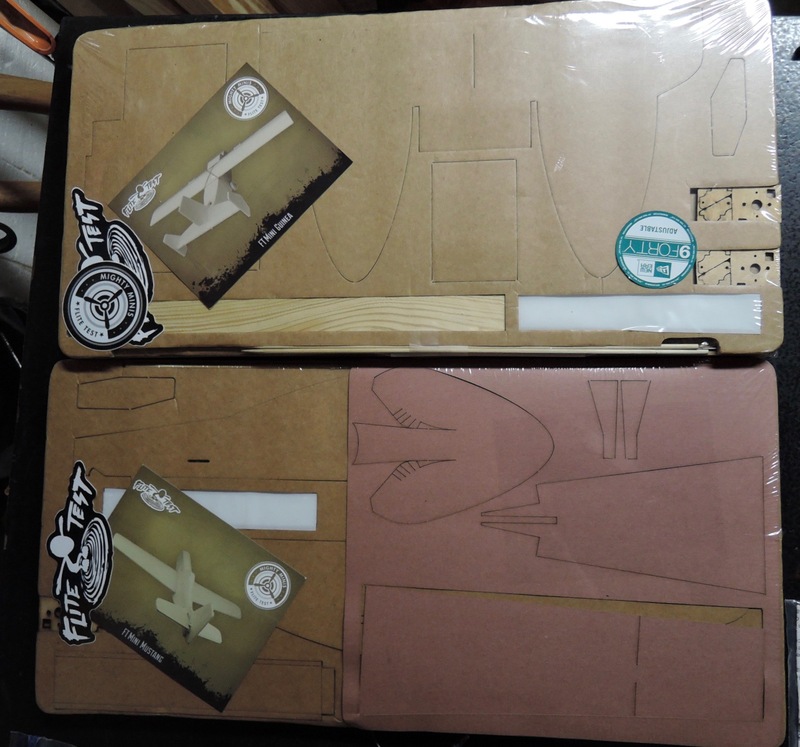 Once those plans are printed you use them as templates on some sheets of foam board from a Dollar Tree store (hence the name Dollar Tree Foam Board or DTFB) and cut out your airplane parts by hand. Scratch building is by far the cheapest way to get into the hobby, and the best part is that it opens up ALL of FT's model inventory, not just the $18 speed build kits. 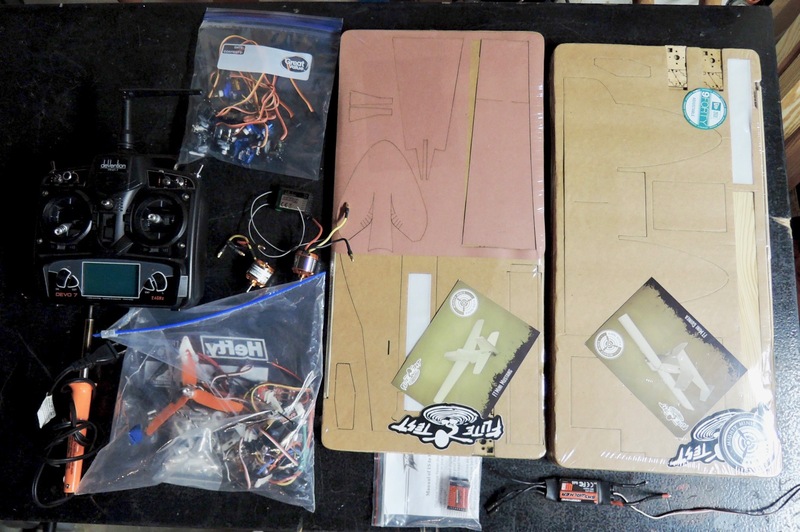 You can scratch build just about every FT plane for less than $10, not including the electronics. Don't get me wrong. I am all in favor of supporting FT with the purchase of their kits. However, I would hate to see you spend your very limited money on a mustang kit and instantly crash and ruin it. The mustang is a nice plane, but you want some experience under your belt before you fly it. It will test your reflexes. That being said, I would steer away from the Cub for now. It needs to be built very carefully and lightweight, otherwise it will be a handful to fly. It's kind of a handful anyway in my opinion, but your mileage may vary. As a first scratch build, I would highly recommend a Versa wing built in the tractor configuration with a powerpod. It only needs 2 servos (cheap!) and the powerpod can be moved from model to model as your fleet expands. Its easy to build, as it only has 4 large parts to cut out and a few smaller pieces like spars and winglets. The tractor versa can fly with a wide variety of motors, and is capable of slow, fast, and acrobatic flight. Really its a sweet flying airplane. Here is a link to Sp0nz's plan index. All the model plans in one spot to download. @Arcfyre, Thank you for taking the time to give me that advice, it really changed my perspective on everything. So that is why I was asking about the mini guinea and mini mustang, I already had the kits and a lot of the electronics. Flight time with the B-pack is about 8 minutes with an aggressive flight. I have no experience with the guinea. @CrazyFastFlying where can I get some friends like yours? Well, he is not a long time friend. He posted the Devo 7 transmitter free and once he found out I was new to the hobby, he said he would send all the stuff I listed above. I can't thank him enough for sending all of it to me! I think you have everything you need, what sort of motors do you have? If they are the right model then you might be set to go. I will check what motors I have and I will post ASAP. I should build the Mini guinea first, right? I am pretty sure the guinea is more forgiving than the mustang but i will have to check. Looking at the power list for the guinea, here the recommended ESC is 10 or 12 amps. And you will need two ESC's. 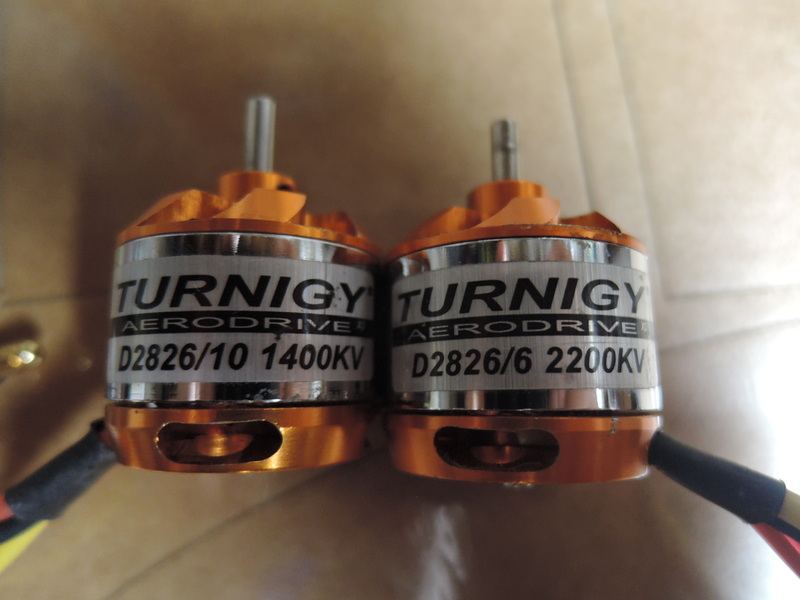 However you could either throw the 40 amp in on one of the other motors (though i dont recommend this) or buy a second 12 amp ESC. other than that you seem good to go. Build one of the wings I sent you the plans for. Wings are a lot of fun. You have all the parts for it. I think I even thru an old 20 or 30 amp esc in the bag for you. 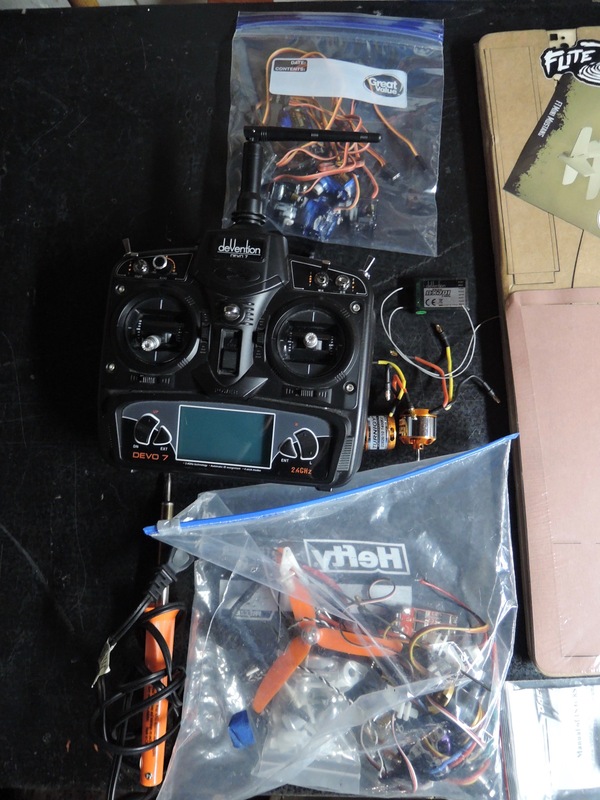 I think I will have to buy 2 motors and 1 12a ESC. if you wanted to build the mustang you can use the 1806 motor its the small black one with that 12amp esc (white). It should fly fine with the 9g servos. Yeah, Great idea! Yes, you gave me a 12s and a 40a ECS. The other motors have the wires cut but you could get some similar gauge wire from the hardware store and solder extensions onto them. If you need help with this let me know. people are telling me I shouldn't build the mustang yet, They say it is pretty hard to fly.